Interpreting and implementing the Foundation to Year 10 Australian Curriculum: Geography / New NSW K–10 Geography Syllabus for ACT and NSW teachers professional learning days were held during November 2015. The speakers' presentations can be accessed below. Project team members Rob Berry and Roger Smith undertook extensive consultation with geography teachers in all States and Territories prior to writing a draft report. After a review by the project's Steering Committee the final Position Paper was published. It was generally acknowledged that the process and preparation of the Position Paper made a positive contribution to the work that followed in the writing of the Australian Curriculum: Geography. Citation: Berry, R. & Smith, R. (2009). Towards a National Geography Curriculum for Australia: Background report – June 2009. 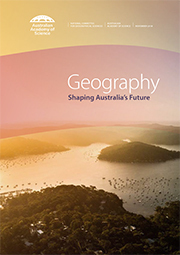 Melbourne: Australian Geography Teachers Association Ltd, Brisbane: Royal Geographical Society of Queensland Inc & Canberra: the Institute of Australian Geographers Inc.
Geography is vital to the education of every young Australian in the 21st century. It is the study of places – their environments, populations, economies and communities – and how and why these places are changing. Geography gives students a holistic view of the world, combining the natural and social sciences. Students of Geography gain the understanding, knowledge and skills to make sense of complex issues such as climate change, drought, ageing populations, urban growth, ethnic conflicts and globalisation. Including Geography in the core curriculum to Year 10, and teaching it as a distinct subject in secondary school, is the best way to give students the framework to understand the world around them. Download Australians Need Geography (2.17 MB PDF). draw together all the current resources that have been written about Geography methodology and skill development, providing links to these. How does geography contribute to student learning in Victoria? Where does Geography fit in the curriculum? 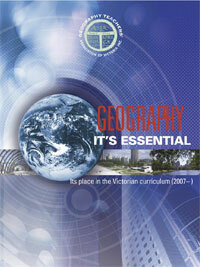 The full document published by the Geography Teachers Association of Victoria is available here. Links within the document are hyperlinked to supporting documents. A Study into the Teaching of Geography in Years 3-10: Maps state and territory syllabus and curriculum documents and draws on interviews with representatives from key organisations. Further details here. A copy of the report can be obtained here. Supporting Geography in Our Schools: Media Release from The Hon Julia Gillard MP 7 April, 2008. Further details. Gillard puts geography on the map: News article published in the Age newspaper on 8 April 2008. Further details. "Australia needs a geographic revolution" argues Brad Ruting from the School of Geosciences at the University of Sydney. Read the article. 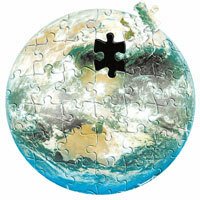 ‘True Blue Geography’, is an Op-Ed article from Bill Pritchard and Nick Hutchinson.